God was present, is present, always present. In Luke 6:20 Jesus is recorded as speaking to the literal poor and saying, “Blessed (or happy) are ye poor for yours is the kingdom of God.” On the other hand, it would be very superficial to conclude that poverty is the biblical road to bliss. The facts of life, and the rest of Scripture no more support this than the other fallacy that riches are the key to happiness. Kim Hubbard said, “It’s pretty hard to tell what does bring happiness. Poverty and wealth have both failed. Most of what Jesus taught about happiness does not deal with the absence or presence of possessions at all, but with what a person is in himself. The blessedness, happiness, and joy of Christ was not in anything he had, but in what he was. If our goal is to be Christlike than a happy new year for us will consist in becoming more like Him. Happiness on its highest level is not to be found in what comes to us, but in what we come to be. That is what the beatitudes are all about. Jesus knew the importance of being happy, and that is why He begins His greatest sermon with a list of ways to be perfectly happy on earth for those who would follow Him and be citizens of the kingdom of heaven. Jesus wishes to each of His followers, not only a happy new year, but a perpetually happy new life. Jesus expected His disciples to be the happiest people on earth. Sometimes this has been true, and sometimes not. Happiness is medicine for the body, mind, and spirit of man, and Jesus the Great Physician prescribes this medicine in its greatest potency. If we are to have a happy new year, we must know what happiness is, and how to obtain it. Our Declaration Of Independence declares that all men have certain inalienable rights such as the right to life, liberty, and the pursuit of happiness. There is no question about our right to pursue happiness, but there is considerable question about the chances of catching it, and the means by which it can be caught. Happy is a word that comes from hap, which means chance. Happiness is a matter of luck for many, and when they wish you happy new year, they mean good luck-we hope you get all the breaks, and that no misfortune befalls you. The happy-go-lucky man is one who trusts to luck. The earnest social worker said to the village reprodate, “Robert, the last time I met you, you made me very happy because you were sober. Today you have made me unhappy because you are intoxicated.” “Yes,” replied Robert with a beaming smile, “Today its my turn to be happy.” Many feel that the essence of happiness is to be intoxicated. It is fools paradise, however, and Paul warns in Eph. 5:15,18, “Be very careful, then, how you live-not as unwise but as wise,….do not get drunk on wine, which leads to debauchery. Instead, be filled with the Spirit.” The filling of the Spirit leads to all the values that intoxication offers without any of the dangers and defects. The joy of the Christians at Pentecost led people to accuse them of being drunk. Jesus was also accused of being a wine bibber because of His happiness in relation to sinners. The loss of power in attracting the world to the church is due in large measure to the loss of happiness. Happiness is essential, not only to the health of the individual, but to the health of the church as a whole. All men are looking for happiness, and only when they see examples of the joy of Christ in human flesh will they be attracted to the happiness He can give in forgiveness of sin, and assurance of eternal life. We want to be happy, therefore, as a means to personal health in our total being, and as a means to be used of God for attracting others to God. In this introductory message on the beatitudes it is our purpose to get a broad view of the subject of happiness before we concentrate on the specifics. We are not interested in the purely materialistic concept of happiness. Rousseau said, “Happiness is a good bank account, a good cook and a good digestion.” There is some truth in this view, but nothing that is distinctly human let alone Christian. This is the happiness of a dog, a cow, or any animal. We want to look at those philosophies of happiness that rise above the animal level, and which are part of a total Christian view of happiness. These philosophies fall into two basic categories. There are those which find the key to happiness in externals, and those which find it within the mind of man. Let’s look at the external system first. I. EXTERNAL SYSTEMS. J. M. Goad said, “Now happiness consists in activity; such is the constitution of our nature; it is a running stream, and not a stagnant pool.” Happiness is doing is the essence of this philosophy, and it is to be pursued by work. Tolstoy said, “The happiness of man consists in life, and life is in labor.” Whittier wrote, He who blesses most is blessed; And God and man shall own his worth, Who toils to leave as his bequest And added beauty to the earth. Many are philosophers and poets who expound the doctrine of happiness through creative work. If you want to have a happy new year, you must labor, build, and create. You cannot leave it to luck. You must work to be happy. We can’t go into the biblical philosophy of work at this point, but nothing is more clear in the Bible than the truth that work is a part of God’s plan for man’s happiness. God is a worker, Jesus was a worker, and He urged His disciples to work for the night was coming. “Sweet is the sleep of the laboring man,” is the Old Testament proverb. Work gives purpose to life, and gives a person an outlet for creative energy. It brings the reward of satisfaction and material blessings. Helen Keller who was blind, deaf, and dumb, all of her life did so much good because she felt it was her duty to be happy. She wrote, in her book My Key Of Life, “But since I consider it a duty to myself and to others to be happy, I escape a misery worse than any physical deprivation.” Where did she get her inspiration of such a view of happiness? She wrote, “His joyous optimism is like water to feverish lips, and has for its highest expression the 8 beatitudes.” We see then that on paper and in real lives the finding of happiness in externals is consistent with the happiness Jesus would have us possess. What we do will certainly play a large role in determining our happy new year. This is not the whole truth, however, so we need to also consider- II. INTERNAL SYSTEMS. Centuries ago Cicero said, “A happy life consists in tranquility of mind.” You can do all kinds of great work, but if you are filled with fear and anxiety all your labor will not make you happy. Jesus recognized the basic need for peace of mind and heart, and this was one of the greatest gifts He offered to men. “Blessed are the pure in heart,” puts the emphasis on the inner nature of happiness. Henrich Ibsen wrote, “Happiness is above all things, the calm, glad certainty of innocence.” Here is peace and purity combined. It is the peace of sin forgiven and eliminated. No one can dispute the internal nature of happiness. Jesus says the externals can be such as to make you mourn, and you can be in the midst of persecution, and yet it is possible to be happy because happiness is not dependant upon the externals. This means that the handicapped, the old, and the ill can still experience true happiness, even if they cannot work and create. This is what lead Joshua Liebman to write his book Peace Of Mind, which lead to an avalanche of books on the subject both Christian and secular. The danger of the peace of mind and happiness cults is that they make this partial grasp of truth the whole, and expect to find the ultimate in the mind. This is not new, for Seneca the ancient Roman said, “Unblessed is he who thinks himself unblest.” There is basic truth here, for Jesus said, “As a man thinketh in his heart so is he.” You can build a strong case for the totally internal system of happiness. Epicurus, the ancient philosopher, said, “Whoever does not regard what he has as most ample wealth, is unhappy, though he be master of the world.” Paul would not reject this partial truth of a pagan, for he said, “I have learned to be content in whatever state I am.” Paul found happiness in the power of positive thinking. The truth of happiness by means of peace of mind is universally recognized. We had a Hindu from India for dinner on one Christmas. He was a vegetarian from a community of vegetarians. He said that the motive behind not eating animals was compassion on all life. Some carried this to a greater extreme than others. Some of his people ate supper at 5:30 rather than 7 or 8 like most. They do this for peace of mind. If they ate later they would need to turn on their lamps, and dozens of bugs would come to the light and be killed. So they eat before the sun goes down, and avoid the needless killing. This gives them peace of mind and makes them happy. We see then that both the external and internal views of happiness are valid in that both do account for much of what we call happiness in human life. Both are recognized by Christians and non-Christians alike. This means that in themselves neither of these systems of happiness are distinctly Christian. The reason we have looked at them briefly is that we might recognize that Christian truth does not eliminate pre-Christian or non-Christian truth, but rather gathers up the fragments and unifies them into a whole. Jesus magnifies the meaning of happiness, and He goes beyond the systems men have expounded so as to be all inclusive. Jesus introduces something strikingly new into the philosophy of happiness with His beatitudes. They are paradoxes in that they include among the happy those that the systems of men exclude. Jesus is saying, even those who are not happy according to the philosophies of men can be happy. Even the unhappy can be happy. That is the paradox of His teaching on happiness. His is the only truly universal philosophy of happiness, for no person needs to be excluded. The happiness He can give is not only universal, but it is unique in that He adds to the external and internal the third dimension of the eternal. The happiness of Christ is lasting, whereas the best that men can offer is temporal. What happens to the happiness in work philosophy when the boss says you are getting a raise because they want your last week to be a happy one? What happens to the happiness in the peace of mind philosophy when tragedy strikes? In a moment all the happiness men can gain by their philosophies can be shattered. Goethe said, “The highest happiness, the purest joys of life, wear out at last.” Because this is so we need to move into a new and lasting dimension of happiness in which we grasp and comprehend the teachings of Jesus in the beatitudes. this must be his own fault, for God made all men to be happy. ” A Christian writer, St. Bernard, said something similar. have no effect upon the happiness of a person, is their view. “I must die, but must I die sorrowing? I must be put in chains. prevented from going with cheerfulness and contentment? subjects, dreaded by my enemies, and respected by my allies. natural tendency is to search for happiness in that direction. without beauty, without money, and without understanding. who have not made the struggle. Paul would have made him angry by his words in Phil. 4:11-12.
had control over how he would react to life internally. more stuff, and that we should not strive to make all go well. be internal and attitudinal rather than external and material. happy even if you are experiencing many negative externals. Christians right to be miserable on a variety of levels. Jesus wept over this same thing. a fallen and lost world. is trying to live in a world that does not yet exist. means that Christian happiness is not always and emotion. to be in such a state. 1. Selfishness. We want things to be our way and good for us. unhappiness because we always want to get our own way. from us, and we resent it, and so feel unhappy. can never be fully filled because we covet more. that the world appeals to in us. misery only because they are convinced it leads to happiness. of what being the light of the world means. happiness was the pleasure of sin and the spending of money. world should be impressed with Christian happiness. scattered far and near, Now and then along life’s pathway, Lo! one ever finds them all. While another just beside you, Gathers honor, love or health. And there are so many pieces, No one ever finds them all. Fit them as they may together, Imaging the shattered sphere. For it has so many pieces, No one ever finds them all. degrees of talent among Christians. that can be had to increase their usefulness and happiness. or external, we are not yet in possession of perfect happiness. for this life is never absolute happiness at any price. happiness, the Christian view cannot be that only. His life, the source of His power, and the end of all His acts. the end of all we are and all we do. calling of God, and the result was contentment in any state. he never wept, felt angry or frustrated, or even depressed. God wanted him to do. Our attitudes are the key. Some good we can always see. They’re so easy to create. Will be your happy fate. You have made a sure-fire start. To put a smile within your heart. but she has known also the joy of success in Christian service. which we know is His will for our lives. “The kingdom of God will be taken away from you and given to a nation producing the fruit of it.” Even the kingdom of God is of no value if it produces no fruit. Every gift of God and every virtue is of no value if they do not produce fruit. How Can Online Blogging Be Profitable to Ordinary Christians? Ranking of any website depends on a few factors. It would basically depend on the relevance of the article according to the key words used; the number of times that page has been linked and viewed, etc. These are quite easy to follow, and if these factors are carefully noted and looked into, the rankings of your website can increase considerably. The first step is to get your website linked through various other pages. The more the pages are that contain your links, the better ranking they will receive. The second aspect to be kept in mind is how often you update the content on your website. Frequently edited and updated sites receive higher ranking in search engines than those that have not been looked at by the owners for ages. Always editing the content of your website as a whole may not be an option. In this case what you can do is add a Blog to your website. A Blog will function as nothing but a forum for people to come and discuss the themes that concern your website too. It will create a platform, as well as become a journal whereby you can also post updates about your operations and your website. The advantage is that the content on such Blogs will not be restricted only to text, but pictures and videos can be posted too. • Cost can never be a problem because free blogging services are quite popular all over the world. If you choose sites like Blogger or LiveJournal, you are sure to get exactly the kind of platform you are looking for. They are absolutely free. • If you are not very comfortable with web designing techniques, you need not worry. Creating your blog is not as complicated as designing template for a website. These blogging services provide a wide range of templates from which you can choose the one most suited to your tastes. • You must also use your discretion while blogging. Especially if you are incorporating your blog within your website, or creating a blog to increase awareness of your product, you need to keep in mind that this is an open forum which is read by all. You do not want to say anything that may end up angering your clients. Politics and religion are the two most controversial themes, and therefore anything about those must be carefully blogged about. • Anything that is particularly reader friendly and does not anger too many people is considered ‘safe’. If your aim is indeed to increase the ranking of your site, you will have to make sure many people read it. You can do this by making your content user friendly. • Also keep an eye on what other people write or say on their blogs. This can give you a general idea of what kind of responses those articles receive, and you can get valuable tips from them. Blogging has come to be considered a highly effective marketing tool. You can easily create awareness of your product and get clients and customers to interact with each other. And not only customers, also those who are relatively new to your product get a platform to ask questions and clear their air about your product. Moreover, it also increases your website rankings can increase because the blog is constantly being updates, commented on, and discussions are always going on. Because of its sheer activity, the rankings improve, creating more awareness of the product. BRANDED AFFILIATE COPY AVAILABLE ALSO! 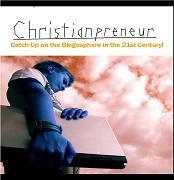 Christianpreneur is all about putting one’s fate into his own hands. one that permeates the atmosphere as the ship sails calmly on.